The Women’s provides a very limited number of appointments for abortions. Priority access for abortions is given to women with complex health care needs or a health care card and no ability to have an abortion in the private sector where the majority of abortions are performed. 1800 My Options is Victoria's new independent Information and Phoneline Service that provides information and referral for contraception, pregnancy options and sexual health for women in Victoria. This includes where to access clinical services (such as contraception and/or abortion providers) as well as other services and supports (such as decision-making counselling). Phone 1800 My Options 1800 696 784 or visit www.1800myoptions.org.au. The Better Health Channel also has information about other public and private abortion service providers in Victoria. This includes information about what different service providers charge, where they are located and their contact details, as well as evidence based fact sheets about counselling and abortion procedures. If you are considering having an abortion, we encourage you to see a GP or women’s health specialist as soon as possible. Health outcomes for women are improved when abortion services are provided in the early stages of pregnancy. Accurate information about your options and supportive non-judgemental counselling can help you decide what’s best for you. You can also use decision-making tool. Most women experience unplanned pregnancy as a difficult health issue, but the evidence shows that there are rarely lasting negative consequences for women who choose to have an abortion. Many women find that when they have made a considered and informed decision, and have been supported in their decision by their partner, family and/or health professional, then the outcome is positive. Some women report feeling mixed emotions, such as relief as well as a sense of sadness and loss after the procedure, which diminish over time. Each woman will be the best judge of how she will cope and what she needs to assist her to do so. 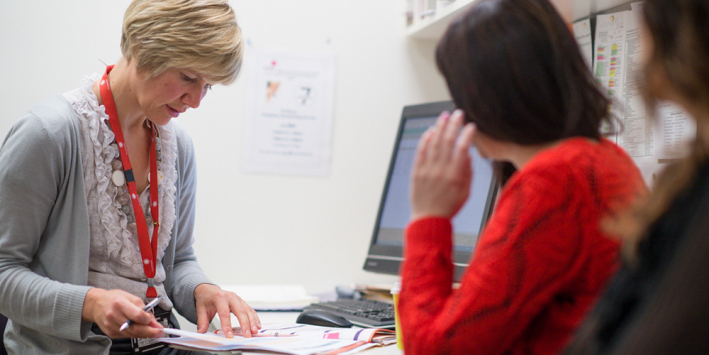 In 2008 the Victorian Parliament passed the Abortion Law Reform Act, which aligns the law with clinical practice and community support for health professionals to offer abortion as part of comprehensive, high quality women’s health care. This law reform has decriminalised abortion when it is performed by a medical practitioner with a woman’s consent. Terminating a pregnancy that has passed 24 weeks gestation is lawful when two doctors have considered all the circumstances and determined that an abortion is appropriate. Abortion is one of the safest procedures available in the health system when it is performed by qualified health professionals, with proper equipment and appropriate medical technique. Most abortions are performed between 6 and 12 weeks of pregnancy (counted from the last menstrual period or measured by ultrasound). The Women’s offers medication and surgical methods of abortion. A medication abortion uses drugs given in doses over two or more days that induce miscarriage-like symptoms. At your clinic consultation, your doctor and nurse will conduct a clinical assessment that takes account of your medical history and other relevant factors, discuss with you the most appropriate method of abortion and obtain your consent to the procedure. Contraception and abortion services at the Women’s are offered as part of our comprehensive sexual and reproductive health care services. At the medical consultation, you can talk to your doctor about your ongoing contraception. If you have any difficulty obtaining these please inform staff beforehand. Women do not have to have a referral for an abortion at the Women's. Have you ever searched for information on abortion on the internet? If you have, your search results may return websites with conflicting and sometimes inaccurate information.